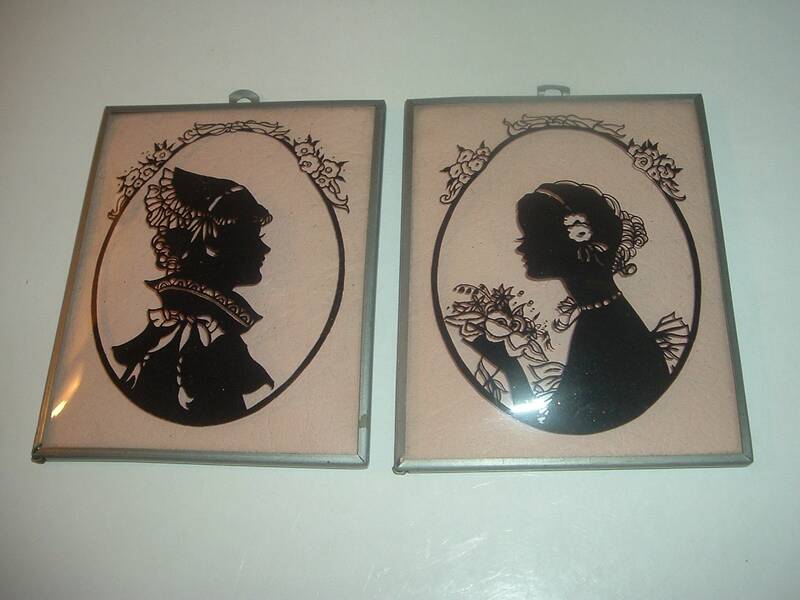 Each of this pair of little vintage lady silhouettes measures approx. 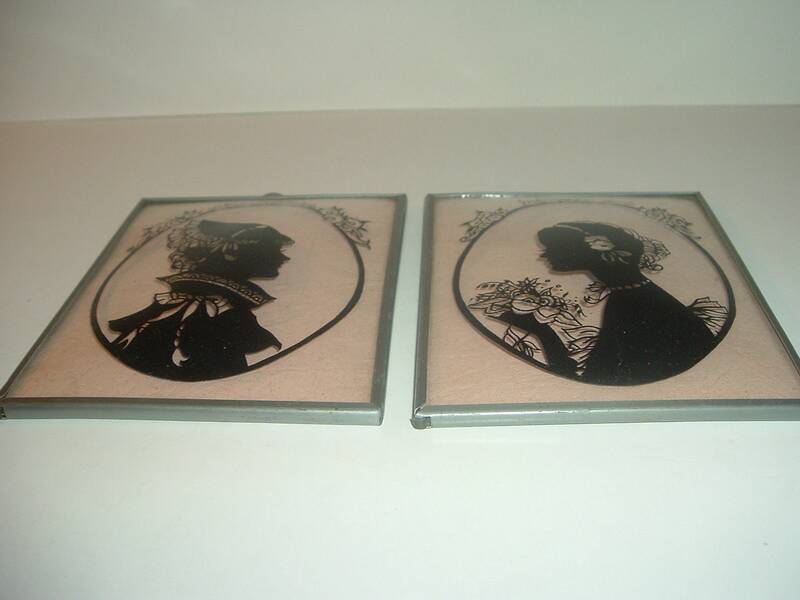 5"L and 4"W. They are reverse painted on convex glass. I see no chips or cracks. 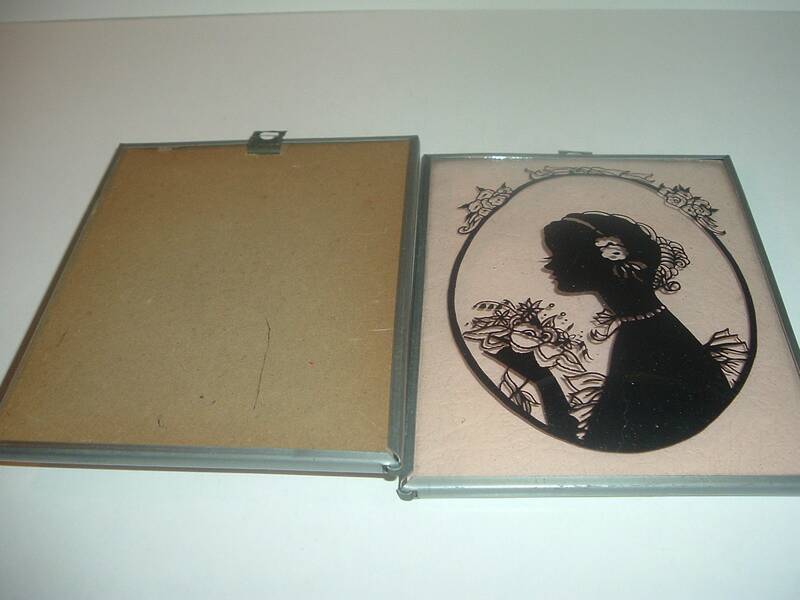 They are done with a thin tin frame, and tin hanger at the top. 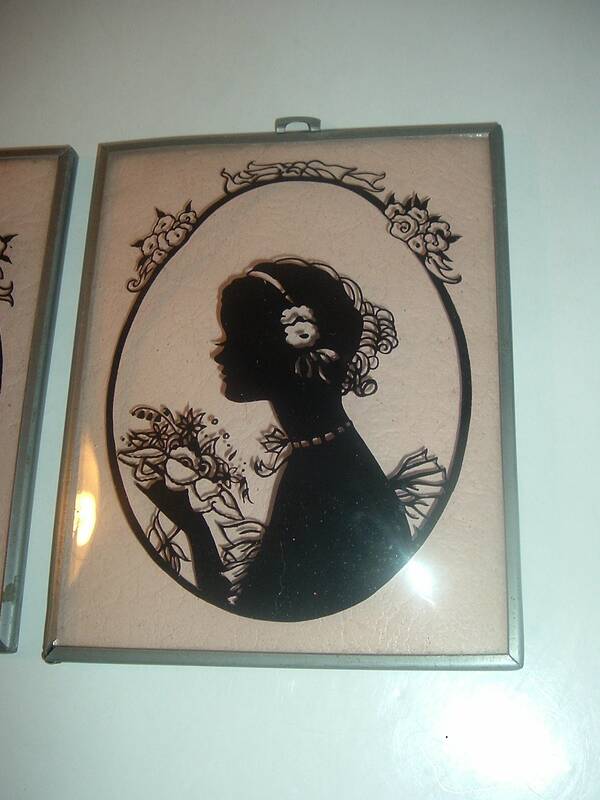 The silhouettes are excellent. 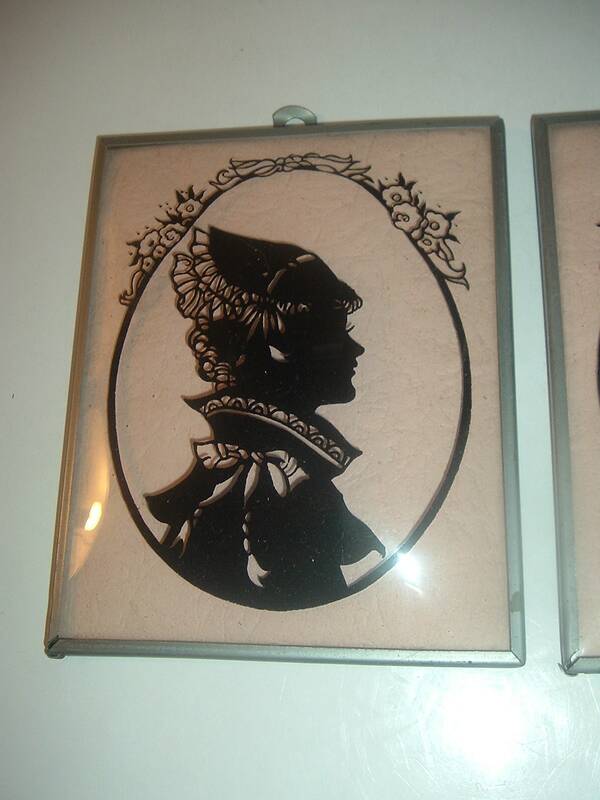 I notice a little dimple or indentation in the glass on the lady on your left (right at the top/back of her bonnet). It's a little factory flaw. There is a little light aging to the frames. They both have cardboard backings. A cute little pair. I gladly combine shipping.